The tour begins getting dropped off just a 15 minute drive outside of Yellowknife at our new Teepee Village location! We begin with drum song and an introduction of our Ancestor's history and way of survival in one of the tents they would have lived in, including a trap demonstration and photo shoot with traditional Indigenous clothing and furs. With hot tea and bannock refreshments, our cozy new facility offers guests the perfect evening of Aurora viewing paired with an authentic cultural experience. Outside of the City lights our Teepee Village offers the perfect Aurora viewing experience. 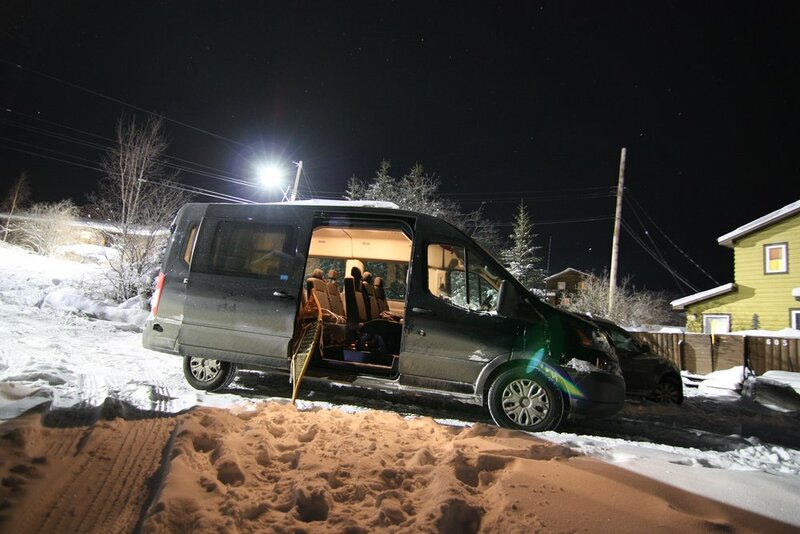 We take pride in limiting our group sizes to maintain the personable aspect of our Aurora viewing evening. We are excited to welcome you to our new Teepee Village! Aurora Viewing at the Teepee Village! *Please contact us for any special requests, special events or questions you may have.